On 5 March, 2009 by Ciara Feely	Comments (1), leave your own! 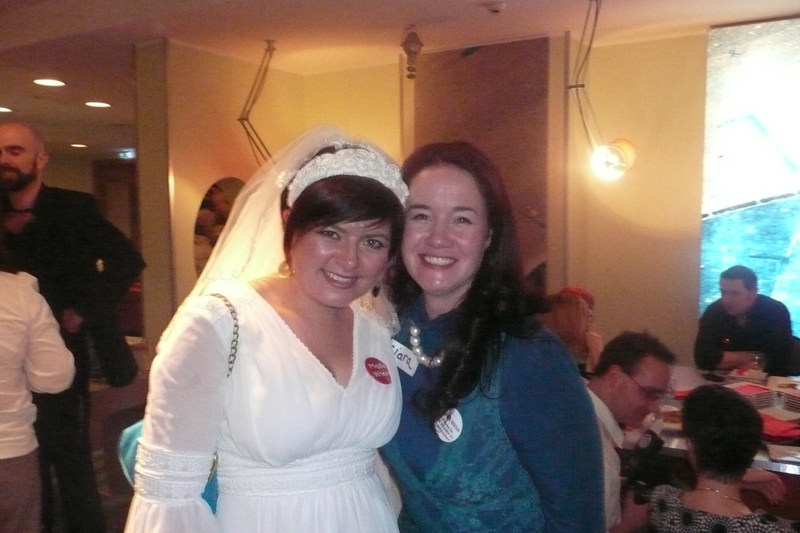 Recently myself and Ciara Crossan of Weddingdates.ie held an event in Dublin for hotels – it was a free seminar on blogging for business and what it can do to increase business. Our expert blogger on the night was Keith Bohanna- Internet consultant and techie who is in denial! Keith is a down to earth guy who gave an excellent talk on the dos and dont’s of blogging and made it all very interactive and easy to grasp. Keith himself would also consult with hotels on how to start a blog and how to increase conversions on your website once you get the traffic there! This is a photo of Keith. Recently at the Irish Blog Awards, I asked Damien Mulley – why hotels should blog for business. This is the response. If I sound a little tipsy in this it is because I was – it was about midnight and the party was in full swing! I also asked the same question twice in my excitement at getting the feedback. I also ran out of memory before Damien finished but I feel the important points are there. Damien gave a presentation for us also on blogging, it was held this week at the Malton Hotel – Killarney, just after the Irish Hotels Federation conference finished. Ciara and myself were very chuffed to have him speak for us. We had a great crowd there, in addition to the excellent topic that everyone was very interested in learning more about, Gavin Duffy of Dragons Den also attended. He was impressed that we had such a famed speaker as Damien! Yeah. I was impressed we had a Dragon in the room!! He relayed the story that he was in London recently and told a business associate he was looking for a top blogger. He was told one of the best bloggers in Europe lives in Ireland - it was of course Damien, is there no limit to the mans rep? The presentation was excellent and very engaging, it ran way over as there were too many questions, so we will definitely have to do another one. There are many opportunities for hotels to market their website, build their brand and profile online and convert more website visitors by blogging. A big thank you to Damien and Keith for sharing their knowledge with us and giving of their time. If you are looking for advice on how to market your website more effectively, do get in touch. This is all part of the marketing service offered by FindaConferenceVenue.com that assists hotels and venues in finding and booking more conference, meetings and events in Ireland. On 22 February, 2009 by Ciara Feely	Comments (0), leave your own! Attended the Blog Awards last night – and I have to say it is the best awards ceremony I have attended to date….. fantastic night, great crowd and a mighty venue. Well done to Damien for creating a night that brought a very talented bunch of people together to celebrate their own successes, acknowledge their contributions and party on down. The Cork International Airport Hotel proved to be the perfect venue for the event, they went all out. It is a hotel with a difference, not your average conference venue hotel – quite funky with eye catching art deco detail all around. Service is great too, Carmel in the events office is great to work with and I recommend them a lot to my clients. Located just at Cork Airport it is a great place to meet in Cork. I am delighted to be the Venue Finder for Damien and need to begin my quest for next years venue. It will be a tough one to beat though!